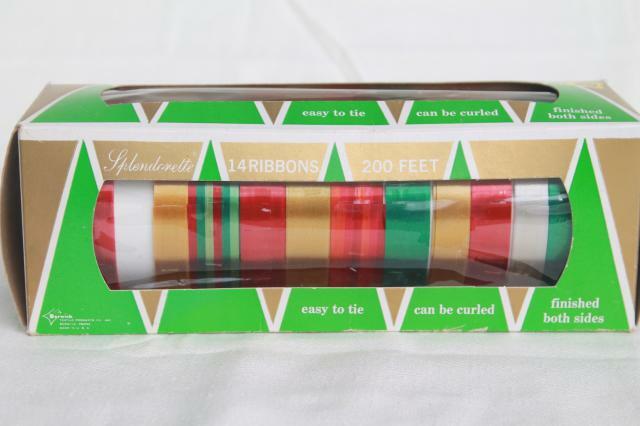 Package of vintage (rayon?) 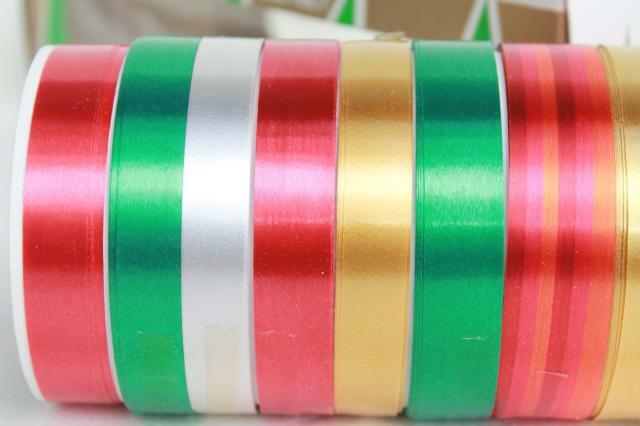 gift ribbons, made in the USA, with lovely rich colors and satiny sheen. 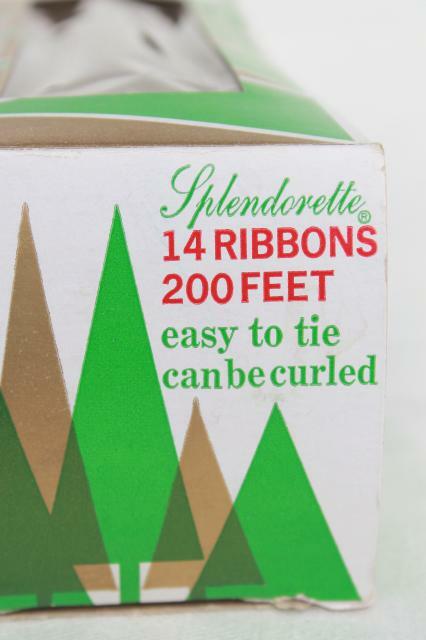 This package is nearly complete, with very little of the ribbon used. 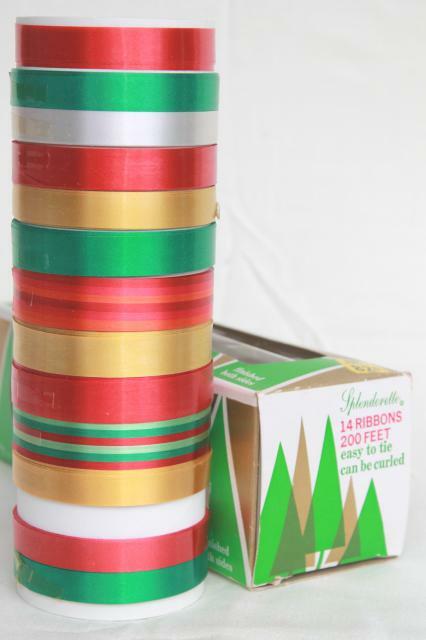 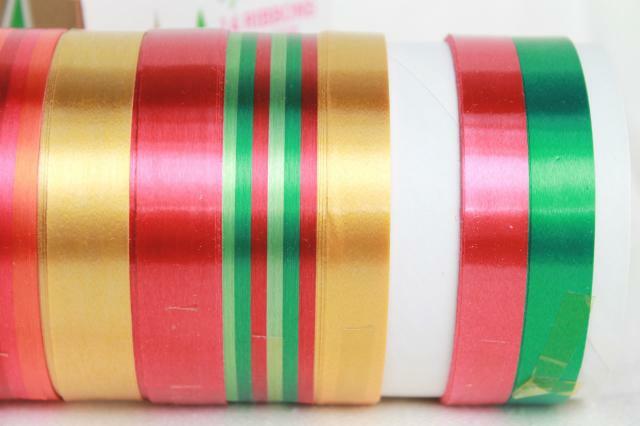 The colors are a Christmas red, green, yellow gold, white and a couple of retro striped ribbons - very pretty!